For years I resisted the temptation to buy a cherry pitter, on the grounds that there's no room in my kitchen for single-purpose tools. I pitted cherries by hand, or skewered the pits on cake decorating tips. It was so tedious I began to regret ever introducing my husband to fresh cherry pies. Finally I broke down and bought not one, but two cherry pitters at a local cherry orchard market. I chose a simple push-button gizmo that secures to the top of a canning jar; it works beautifully. 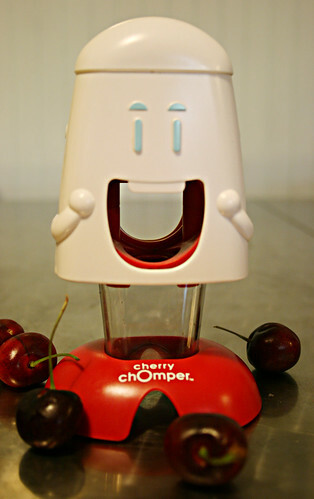 My kindergartner, however, fell in love with the less efficient but utterly charming Cherry Chomper. It's worth dedicating space for two tools to enjoy sitting at the table with my boys, pitting cherries and eating half the bounty while we work. 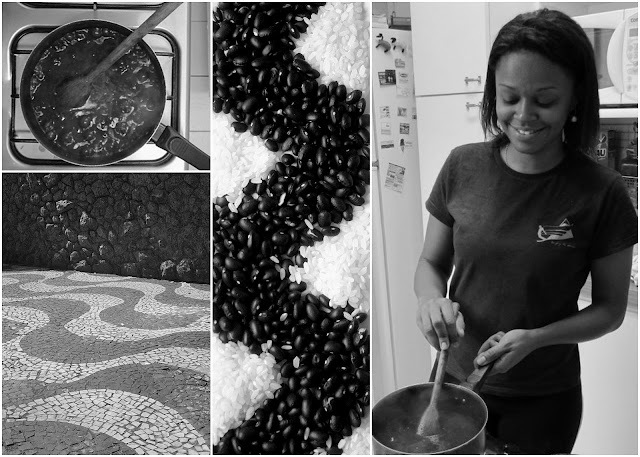 During the brief, perfect cherry season, we work the fruit into everything: ice cream, pies, and tarts, in salads, with yogurt, in a warm compote with meat, and of course savored fresh out of hand. 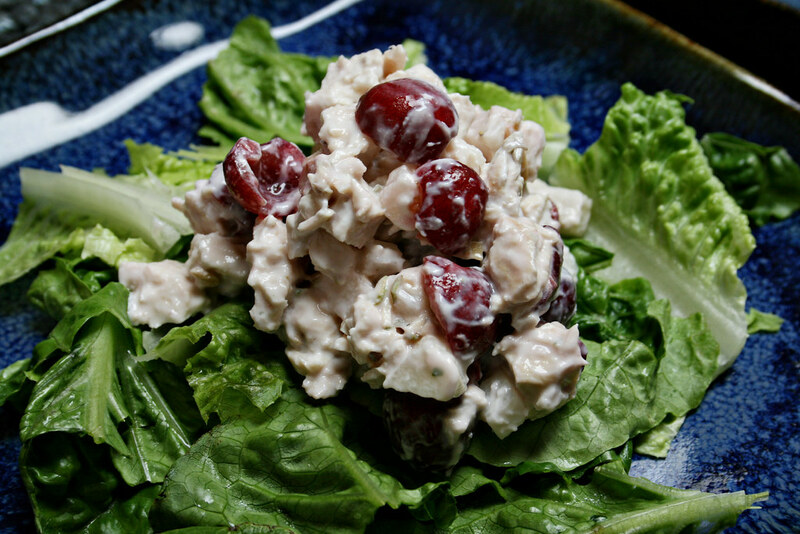 Here I added cherries to a very light chicken salad, made with Greek yogurt instead of mayonnaise and with jicama, one our favorite vegetable snacks. I also incorporated pineapple sage, the latest addition to our herb garden. I'm still learning how to work with this surprisingly light and tropical-scented herb, and I found I needed quite a bit to get much flavor. If you don't have pineapple sage, substitute freely with other herbs -- tarragon, mint, rosemary, and oregano would all work well. Adjust the amount to suit your taste. In a small bowl, combine yogurt and lemon juice. In a medium bowl, combine chicken, cherries, jicama, and herbs. Stir yogurt mixture into chicken mixture; season with salt and pepper to taste. Serve atop salad greens.